When I’ve first heard of the bear sanctuary from Zărneşti I suddenly remembered a happening from a few years ago. I was sitting on a terrace in the small mountain town where I live, when two foreign tourists approached me with some questions. After they had finally found out where they are, they told me something that shocked me more than them. They told me that they had seen a she-bear with two cubs wondering free on a road on the mountain. Then the tricky question came: “do bears live in the forest?” Well the answer was obvious from my point of view. Yes, in Romania, bears live free in the forests and on mountains. There are a couple of them in zoos, but definitely most bears in this country live happily in their natural environment since ever. This story is the reason why I have been distrustful when I heard of the bear sanctuary in our country. I started looking details about Liearty, as the sanctuary is called, and I understood that its purpose wasn’t to enclose the bears, but to help them out. The bear sanctuary is relatively new; it was opened in 2005 and it is open to visiting since 2008. Libearty proposes to host and reintegrate in nature bears that have been held captive. The visit in this sanctuary is made in special conditions because the people working there really want tourists to understand that this is not a zoo. Now imagine 69 hectares of sanctuary containing forest, ponds, streams, protected by the Carpathians (it is located near Brașov, at the foothills of the mountains). Bear lovers wanted to make these beautiful animals feel like home in here. And I believe they truly managed it. To make sure the bears aren’t stressed by tourists and that there isn’t a great flux of people who want to see the bears, Libearty was equipped with a camera that streams live. So if you don’t have time or you can’t go there to see the bears for yourself, you can watch them from home. But the best would be to live this experience. You definitely won’t be disappointed. It was a great experience for me to see the bears so closely, without being afraid that I might be attacked. More than that, every animal has a very sad story, most of them being rescued from various places where they had been kept in unhealthy conditions and used as entertainment. But here a guide has enough patience to tell everyone about the traumatic lives the bears had before coming here. When I got to the sanctuary I had the chance to see one of the brown bears swimming and playing in a specially designed lake. He was so happy! I could see on his face that here he was safe, that the tough times are gone for him and that the whole world is his. It is pretty difficult to see all the bears at Libearty, but one was enough for me. I understood by seeing him that we should thank those from the sanctuary for the work they do to keep the animals safe. 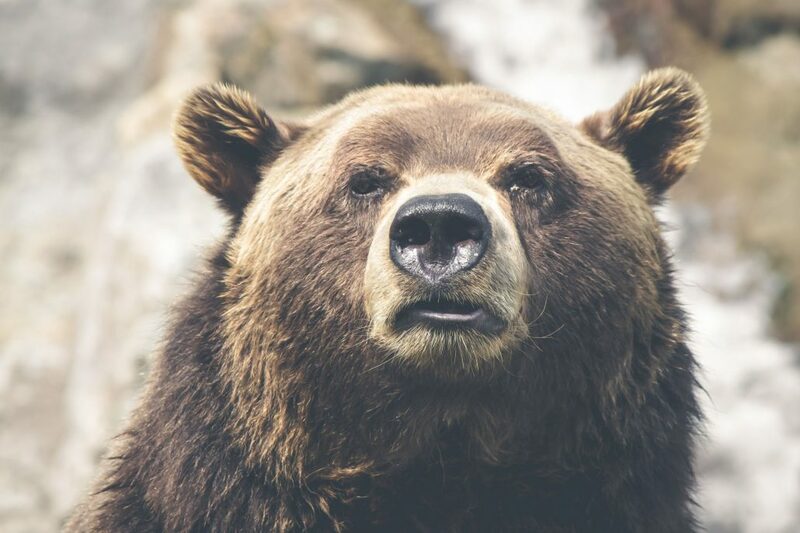 For Romania, bear sanctuary is a relatively new term. Besides the bison sanctuary we don’t focus so much on animal sanctuary. But the first step was made by those from Zărneşti and I hope that in the future will be more areas where animals will grow and develop in their natural environment.